As I was reading (and thoroughly enjoying) a fellow blogger’s site today, I realized something about myself: I’m afraid to blog. Since I started my blog almost 9 months ago, I have only posted 6 times!! Geez…saying that aloud (well, typing) makes me feel pretty bad about my self-proclaimed title of “writer”. How am I a writer, when I never write? So, back to my dilemma. I realized that I felt afraid to blog, first because I was afraid people would not like what I wrote. And second (and more importantly), that people would not even read it. If you are a writer, you know exactly what I mean when I say that that is a fate worse than most others. To pour all of my heart and soul into a piece of writing that no one reads… I can’t imagine much worse in life. So my solution? Start a blog, but don’t blog. That way, people can’t say I don’t write, because I can always point out that I do indeed have a blog. At that point, it’s just a matter of making excuses for my lack of posts (too busy with big projects, no internet, etc.). For awhile this solution worked for me. Until today. Today, I realized: If I am afraid to blog, how will I ever have the courage to write at all? Because to me, writing is not writing when no one is reading. Well, at least when you’re writing with the intention of sharing. So, I will write, amidst the fear. Because whether I wanted this fate or not, life chose me as a writer. Being granted with such a gift can be a blessing and a curse, a responsibility that can’t simply be ignored. So, no more ignoring. No more excuses. Just writing. And hopefully, someone will be reading. 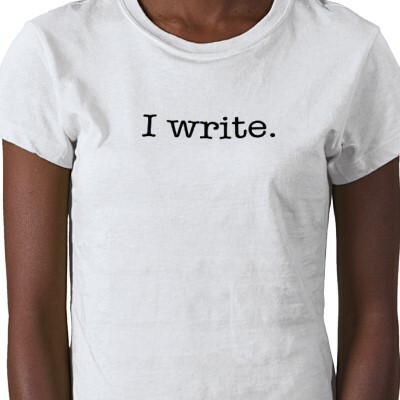 If not… well, I plan to just keep writing, until someone does. Preach! I think all writers/bloggers can relate. I love how you said ‘life chose me as a writer’. I think that’s so true! It actually took a long time for me to even think of myself as a writer. It was a certified breakthrough for me to come to the realization that that’s who I am. Now I just need to act like one (lol). Love this post 🙂 Keep writing girl. Trust, I’ll be reading! Nice! I hope you do keep on blogging. This post has encouraged me to get over my own fear and blogging. So I’ll say Mission:Accomplished. When you asked me did I write and I hesitated..well I see you know how I felt at one point in your life..Writing scares the crap out of me too..Being a Virgo doesn’t help…always searching for perfection, forget living up to others’ standards, will it live up to mine..A lifetime of stories, but too scared to write it down..